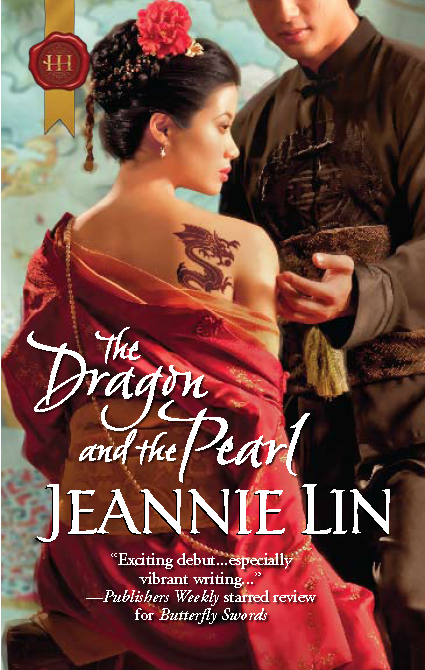 In upcoming release news, check out Jeannie Lin’s new book cover for The Dragon and the Pearl. I really look forward to reading it. Amazon says it’s due for release on September 20th. 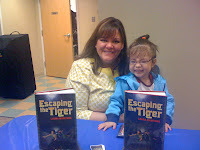 Last year I reviewed “Escaping the Tiger” by Laura Manivong. Due to the poor economy, the book hasn’t sold as well as I expected. If you’re interested in ordering a hardback copy for $3.99, check out this link. It’s a marvelous read and you won’t be sorry. So what wondrous things are you reading right now? 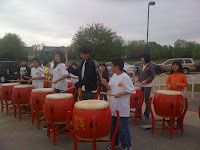 The cultural festival at the library was so much fun, I wanted to share pictures. Enjoy! First, we went to find my friend. She took pity on this little eating machine and fed her sticky rice. THAT bought Laura a friend for life. There were tons of pictures and porcelain art work, but I loved the whimsy of this teapot. Check out the doll. I think they’re Katakana, but correct me if I’m wrong. Then it was time to leave and I was BUMMED. 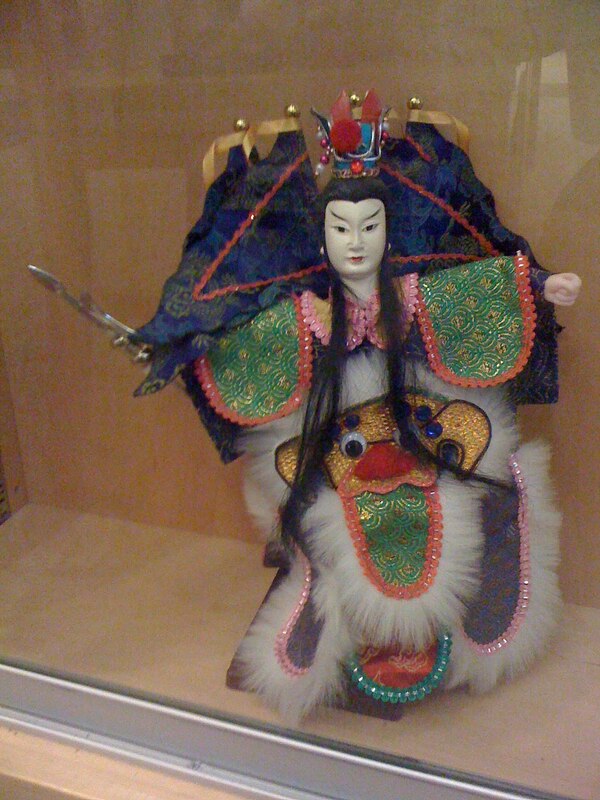 (We missed the calligraphy and water color classes, the dancers and *sob* the martial artists.) But we DID manage to stay long enough to see a great drum team practice. It was a wonderful morning. Tomorrow is garage sale day at my sister’s, but first, my daughter and I will head out to a local library celebrating Asian Culture. 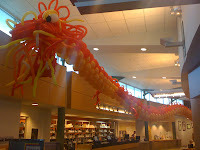 Use that link to go to the library branch for event details, or you can check out this article covering the festival. 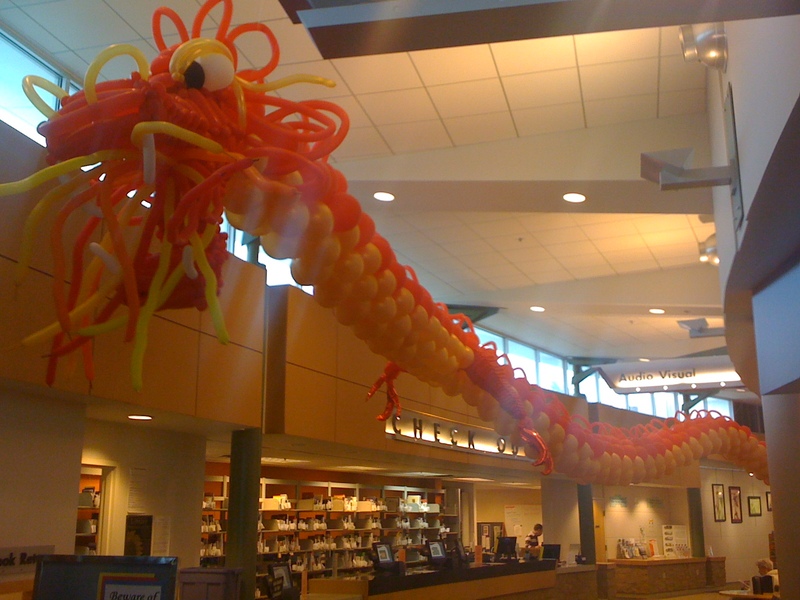 On May 1st, join us at the Blue Valley Library for our fifth annual fun-filled event for the entire family as we celebrate and learn more about Asian culture with music, dance, crafts, art, and food. There will be events in celebration of the Asian culture in the morning featuring classes from the Kansas City Kendo Club, a presentation on Asian Textiles, a performance by the Nathan Indian Dance Group. The afternoon sessions will include a class on Stories from Asia, a meeting from the Taiwanese Association of Greater Kansas City, and author Laura Manivong. 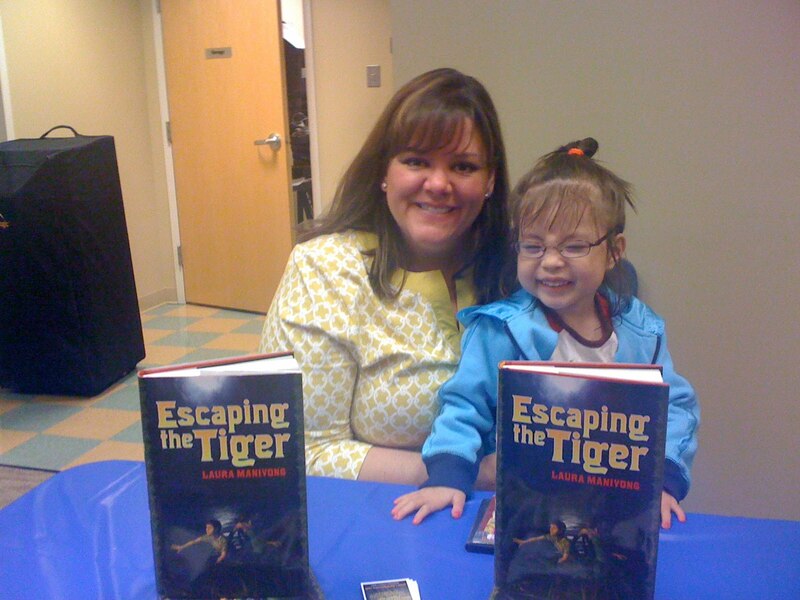 Laura Manivong is the author of “Escaping the Tiger,” a historical upper middle grade novel due out from HarperCollins Children’s Books on March 9, 2010. The story is loosely based on the experiences of Laura’s husband and his family who spent time in refugee camps in Thailand after fleeing Communist Laos in 1987. VLD: Since I know where you got a lot of your information, I’ve often wondered how much did you rely on his and their memories and how much of your imagination did you put in? LM: The plot is completely made up but there are a few scenes for which I relied heavily on my husband’s experiences. Attempting to cross the Mekong River in a sinking canoe, which is how the novel opens, is one. I needed to know how far sound would travel, the temperature of the water, how people were positioned in the boat, the landscape of the bank, and so on. It’s those sensory details that are difficult to find in a google search. There’s also a scene with a turkey that anyone who’s ever thrown a ball through a window can relate to. And if the scenes in the book aren’t true to life for my husband’s family, they are true to someone’s experience. VLD: Obviously, it’s an exciting story, but what was the core element that made you decide to write it – especially as fiction. You could have done it as a memoir, for instance. LM: My friends made me do it! I didn’t grow up knowing I’d be a writer, but when I’d tell people bits of my husband’s background, the common response was, “That’d make a great book.” I wrote it initially as a picture book, and when an editor rejected it saying the story was good but the protagonist was too old, I decided to turn it into a novel, which ended up being an eight-year process (child bearing included). As far as making it fiction, I’m not sure it started that way. I have drafts in my drawer that are more true to life, but I kept running into problems with the timeline. My husband was a prisoner of war in the Laotian “seminar” or Communist re-education camps as a young boy, then he was an illegal resident in Thailand working in factories as a tween, then a refugee in his late teens. Such a long time frame was overwhelming, so after many, many attempts, I ended up focusing on the refugee storyline. VLD: I know Lian Hearn and Alma Alexander have both mentioned that they sometimes felt presumptuous to write about a culture in which they don’t belong. 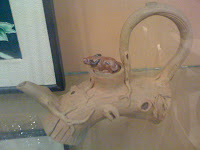 Did you find it difficult or problematic to write about this place? LM: I find writing in general difficult and problematic! But sure, I worried about doing the story justice. I’ve never been in a refugee camp or nearly drowned in a river, but I can pick the brains of those who have. As writers, we hear all too often to “write what you know,” but I think it’s equally import to “write what intrigues you.” Someone smarter than me said to write the book that you’d want to read, and I think that’s sound advice. LM: Gosh, do I have to pick only one? The kids, the full-time job, the laundry, the lack of confidence. But almost every writer has those challenges, so my answer for this question has to be picking my husband’s brain. Without his memories, I had nothing, and I was asking him to relive a lot of pain, often at inopportune times. He’d be in the middle of a favorite TV show and a steaming bowl of rice noodles, and I’d run downstairs and say, “Hey, tell me again about the mosquitoes in the latrines.” He claims I even woke him up in the wee hours of the morning begging for details, but I’ll deny that to the death! VLD: Do you have any tips or resources for other writers, particularly those of us who use an Asian setting? LM: I’m not sure what writers did before the internet but there is an abundance of information to get you started. I didn’t have the opportunity to visit Laos, but I was able to see settings, how the people interact with each other, their environment, etc. It was better than nothing! VLD: If you could ask your readers one question about this book, what would it be? LM: What I want kids in particular to come away with – without sounding too didactic – is to be open-minded when you meet someone who’s different. Take the time to stop and wonder: what is this person’s background? How has their life been different from mine? What can I learn from them? If someone has an accent or speaks broken English, it doesn’t reflect on their intelligence. In my husband’s case, it’s because he was a prisoner of war from 1st through 5th grade and never had the opportunity to go to school outside those confines. Imagine what it would be like to start life over in a country where not only do you not speak the language, but the alphabet is not even recognizable. LM: I’m writing a young adult novel set in the Arizona desert. There are wolves, a curse, a tangled romance, and three generations of brothers who’ve all died without explanation. VLD: Do you think you’ll ever return to another Asian setting? LM: I can’t see it happening now, but I never thought I’d write historical fiction either. I won’t say it’s never going to happen. There are just too many ideas in the pipeline to think about that now, although my husband wants me to write about his re-education experience in the Communist seminar camps. That’s where his father spent twelve years in prison at a labor camp. It was where the Communists forced people to go after the war to try and get them to re-think their belief system. VLD: That would be very powerful, too. LM: Yeah. That would take the same hair-pulling as the first novel and I don’t think I have time to do it right now. But yes, it would be powerful. Laura, I look forward to whatever you come out with next. Thank you so much for talking with me! Laura’s blog and book trailer can be seen at http://lauramanivong.com/.